In order to help support the new Common Core reading section here are a few ideas to encourage your students to read across the curriculum. If you have ideas to share please send them to me. We all know teachers can only do so much - showing an interest is sometimes enough. Many kids do like to read - they just don't know what to read or have a reason. You (teachers) are in a position to do both. Here are some ideas for you to encourage student reading in your classroom. I'd be happy to help in your classroom with any of these ideas or any other lesson you are trying. I do try to keep our School Library full of relevant books. If you have any books which you want me to get for our library please let me know. I'd be happy to purchase them. Click here to request a book. Book Talks (Offers ideas on how to talk about books and have discussions about them). You do not have to necessarily have read the book. You could instead get your student interested in a book this way and have them read it. Book Talks it is also a good example to for an assignment for THEM to complete. Core Curriculum. Has books listed with Lesson plans and other ideas. These typically pair Non-Fiction with fiction books or required reading lists and similar readings. More info and HOWS and WHYs Students can pair up. I can also pull up some pairings in our Library. Let me know how I can help. Yes, the links go out side of TheOlyCenter but If you let me know a topic I would be happy to pair some books that we HAVE in our Library. I have gathered book resources and saved them in this Google Folder. Browse for a book you may be interested in. I did NOT create these resources and some have more than one book in them. Book in a day. Sometimes you just need to get through a book. Assign a small group a chapter (or two) of a book - make sure you cover all the chapters. Have them create a one or two page summary of that chapter. Including a significant picture or two of what is happening. Have the student groups somehow present their summary in 'chapter' order of the book. I did this with October Sky in my science class and had the groups do an 11 x 17 page of their chapter. We stapled each page of the book together and read that book in class. Kids argued about the validity of this book and how inaccurate some of the created chapters were. What does that mean? That they WERE discussing the book! Have them find some science vs non-science in their book. Relate the main focus of the book to real historic events in history. Have the student identify themselves as one of the main characters in the story. Each book has a time period in which it takes place. Have the student create a parellel story that is happening in another geographic location. Obviously you may not know all the details of the books they are going to read but that is NOT important! The important part is the student IS THINKING and reading in order to relate the book to "your" topics - and obviously the topics above are NOT complete. Be creative and accept pretty much anything the student gives you. I wish I could claim this page but here are some great ideas for books in the classroom. Some are elementary but you can adapt them all you want. Have students crate a fakebook page of the book or just characters. This is a great historical figure tool too. You may think this is elementary but it really is not. Pick a good SHORT book and go for it. You'll be surprised. I'd come read to them too if you want. Very similar to the fakebook pages only their texts! Students can have a conversation with a character or have the characters text each other. Add other screen shots of weather maps or other items that fit the story. Save pictures or screen shots to Google Dr. to turn in. I have not used the apps above and there are other ones. I think you'll get the idea. Picture a file folder... got it? fold it up put it your cabinet. Of course you could use regular paper or software. Department Ideas (The links below go to Goodreads book lists) BUT I can build similar ones one for what we have in our Library.These are dynamic lists that are updated by users feedback. Sports Fans? There are a lot of sports books out there including biographies of athletes and professional sport teams. Not a problem to find a book on Athletics. Many varieties of health links or books Many YA books deal with student issues of todays health problems. But that is not always the main issue. You could have students read any book and have the student decide health concerns of the characters. Math fiction books. Many books contain some math but it may not be the focus or plot of the book. They are out there tho. Ever heard of a TV sitcom called the Simpsons? 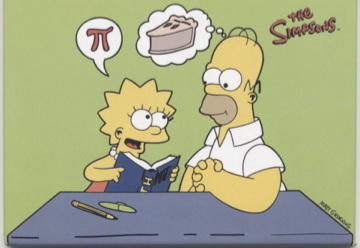 Even Wired Magazine explains The Simpsons and Math! Chemistry! Careful here.... Chemistry could equal "relationships"
Not the easiest to read but there are some. I would go sci-fi and have students pick out sci vs fi instead! Art.... Never-mind "Reading" the book. Redesign the book covers. By default this should force the student to read the book! Without too much prodding A Single Shard is a must read for Ceramics. Most movies were books to begin with. Easy assignments here. Read the book watch the movie. Compare. Keep in mind the term "Adaptation"! Historical Fiction is a huge Genre or just History. Might be best to double up on the English Dept. and see what novels they are reading! I had a list of of "Extra Credit" type assignments students could do. One of the items on that list of 15 things was to read a book and explain some of the science in the book. Other items on that list was "current events", visit a museum, extra book questions. Ultimately the idea was "Science outside of the classroom". I'd be happy to share that with you if you would like. Here is a link to teaching guides I have collected. Be sure to open the .doc which also contains some links.